In the letter, Pritchett also says he is concerned that the proposed route might lead the University of Georgia to move its equestrian facility from its current location near the proposed highway and that such a loss would adversely affect the economy and reputation of Bishop. Pritchett said that Boswell told him he had forwarded the letter to Albert V. Shelby III, state program delivery engineer with the Georgia Department of Transportation, but that he has not gotten any other response to his correspondence, sent in June. Just before Pritchett sent his letter to Boswell, Bruce Anderson Jr., project manager with the Georgia Department of Transportation, sent out a newsletter indicating that the state has continued its studies for the proposed close-in bypass and widening of U.S. 441 from Watkinsville to Madison. Anderson said GDOT will hold two Public Information Open Houses once the design teams have completed preliminary design layouts. State Program Delivery Engineer Shelby presented the current plan for the bypass of Bishop to the Bishop City Council at its meeting on March 12 and then provided additional details at a public meeting on March 19 at Oconee Veterans Park. Shelby said at the March 12 meeting that the plan was created in response to opposition by Bishop officials to an earlier proposal, which would have routed all of the U.S. 441 traffic directly through Bishop. Shelby said that the plan for a more eastern route had been rejected because of opposition from landowners and costs. “I like this a whole lot better than the first thing that I saw,” Pritchett said at that March 12 meeting. “I’m willing to see how it works,” Pritchett added. Pritchett had voice strong opposition to the earlier plan, released March 28, 2017, that proposed that U.S. 441 be widened to three lanes through the center of Bishop instead of via a bypass of the small Oconee County city. 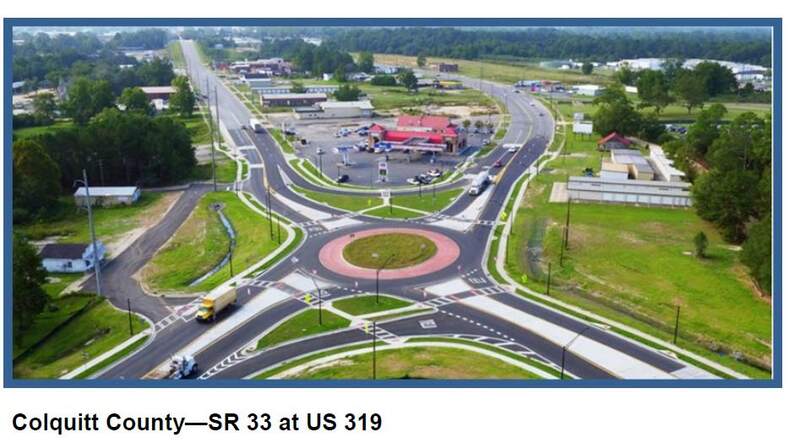 The current proposal is for a two-lane bypass of Bishop to the east of existing U.S. 441 from a roundabout at Astondale Road to a roundabout at SR 186 (High Shoals Road). Astondale Road would be modified to create a T-intersection with the bypass. Old Bishop Road would intersect with the proposed bypass, and traffic on Old Bishop Road would have a stop sign at the intersection. The draft map of the truck bypass lists 17 properties near to or directly affected by the proposed truck bypass. Included are three properties owned by Laurel B. Whitmire, the sites of the Bishop Baptist Church and the Bishop Methodist Church, the University of Georgia Equestrian Complex, and land owned by a group based in Lawrenceville. The truck bypass would pass very close to two houses on Old Bishop Road, possibly necessitating the purchase of those two properties, GDOT officials said at the March 12 meeting. A map showing the proposed concept for the bypass is HERE. Under the plan presented by GDOT, U.S. 441 will be widened to four lanes from the Watkinsville bypass to the Madison Bypass. In Oconee County, the route will follow the existing right of way for U.S. 441 and will use that roadway and right of way as part of the widened roadway. U.S. 441 also would be a four lane road at Bishop, with two lanes running through Bishop itself and two lanes on the bypass. Traffic would be restricted to 45-miles-per-hour on the truck bypass and to 25 miles-per-hour on the existing route through Bishop. “One of the most important issues for Bishop is that the presence of the University of Georgia Women's Equestrian program not be jeopardized,” Pritchett wrote, noting the opposition to the plan stated by University of Georgia officials. “The benefit to the economy of Bishop, several local merchants, and the reputation of Bishop of having the equestrian program is vital,” Pritchett wrote. “The best solution for a bypass would be to revert to the 2007 plan which called for a 441 bypass to be built further east of Bishop,” Pritchett wrote. 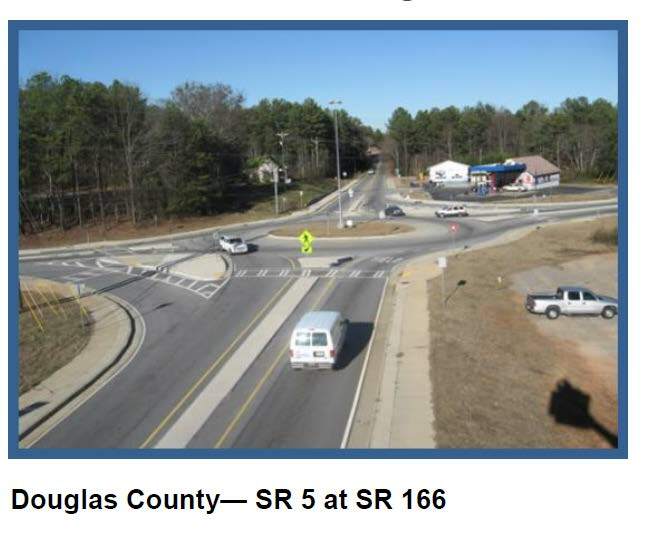 “I fear that tractor trailers and other vehicles will have a more difficult time navigating roundabouts, especially at times when visibility is poor,” Pritchett wrote. Pritchett copied his letter to Gov. Nathan Deal, State Representative Jonathan Wallace, State Senator Bill Cowsert, Greg McGarity, University of Georgia athletic director, and a number of people at GDOT. The letter is dated June 12. Pritchett told me in an email message on July 29 that Boswell called him and told him he had forwarded the letter to Shelby. “I don't know how the letter got out it wasn't supposed to,” Pritchett wrote. I told Pritchett that I didn’t know how the person who gave it to me had received it. I did not tell him who provided it to me. GDOT Project Manager Anderson sent out the June 2018 Project Newsletter on June 4, providing an update on U.S. 441 widening. Once the design teams have completed the preliminary design layouts, GDOT will hold two Public Information Open Houses, one in Morgan County and one in Oconee County, the Newsletter states. “At the meetings, the public will have the opportunity to review and comment on the roadway plans before any decisions are finalized,” according to the Newsletter. 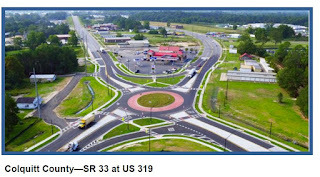 The Newsletter also states that the use of roundabouts for intersection control is becoming increasingly popular in Georgia and across the United States. Roundabouts reduce the number of and severity of crashes, the Newsletter states. They also can reduce fuel consumption and air pollution due to the continuous flow of traffic. The Newsletter provides a link to a video explaining how roundabouts work. The complete Newsletter is HERE. We all sat and listened in March to the crown prince of Bishop as he agreed to this latest plan. GDOT must be ready to pull the plug entirely on his megaphone. This is approaching madness at this point. Maybe, if we're lucky, they'll just quickly build that truly conservative, economical, sensible, 3-lane project and put this thing to rest once and for all. Of course, good old 441 was there long before any current residents put down stakes so they all knew what they were doing. We make decisions and then we live with them. That's the way it works. Please remember, 441 is a federal highway and not a local road. UGA is opposed to this bypass and have made this position clear to GDOT and Jamie Boswell. Hopefully this debacle of a plan is abandoned soon in favor of a true four lane solution that actually has a chance of achieving it's goal.